Wasatch Pass Wars - Ski. Play. Live. One thing is for sure. Vail Resorts and their move on Canyons Resort this summer has shaken up the way the Wasatch does business. Not only is the new Epic Pass one of the cheapest season passes in the state (Powder Mountain’s is $640) but it’s causing a backlash of resort-gangup warfare. Step aside Mountain Collective, the “Best Benefit In The Wasatch” is a boon for Utah locals. Buy a full-tier pass at Alta Ski Area, Deer Valley Resort, Park City Mountain Resort, or Snowbird Ski and Summer Resort (basically any resort but Canyons, Solitude and Brighton) and receive three free days at each of the other three resorts. Even better, if you purchase a pass at Alta or Snowbird you get the benefits of the Mountain Collective as well (minus the free tickets)!!! In other words, if you buy an Alta pass for $999, you’ll get three extra days at Deer Valley ($324), PCMR ($300), Snowbird ($267). That’s an $800+ value! Plus you get most of the Mountain Collective which would be 50 percent off lift tickets at Aspen, Jackson Hole, Mammoth, Whistler, Squaw/Alpine, Durango, Red Lodge Mountain, Homewood, and Wachusett throughout the season. “As another step in adding value and variety for our Alta skiers, we think it is great to be able to add days of skiing at three of our fine neighboring resorts – Snowbird, Deer Valley and Park City Mountain Resort,” commented Alta Ski Area’s President and General Manager, Onno Wieringa. With the purchase of the Mountain Collective Pass each passholder receives 2 days at each of the following areas: AltaSnowbird, Aspen/Snowmass, Jackson Hole, Mammoth, Squaw Valley/Alpine Meadows, and Whistler Blackcomb. Additional benefits include half off ski days at The Collective destinations, no blackout dates and up to 25% discount on lodging at The Collective destinations. For the first time ever, Solitude and Brighton have teamed up to offer a joint BCC pass for $999 (the price of a Solitude pass alone); on sale Aug. 8. 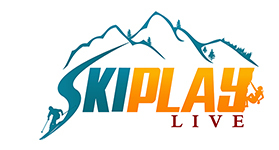 “We recognize that the paying customer has a plethora of ski pass choices this year. We think you will find that our pass offerings this year are competitive and hope that you choose to keep Solitude as your mountain choice this year,” announced Solitude on Facebook. Epic Pass: Unlimited skiing or riding at Canyons, Vail, Beaver Creek, Breckenridge, Keystone, Heavenly, Northstar, Kirkwood, Arapahoe Basin and Eldora. – NO BLACKOUTS. Also includes 5 free days at Verbier, Switzerland and 5 free consecutive days at Arlberg, Austria. Three free days any Sunday-Friday (excludes holidays) at Angle Fire Resort, Arizona Snowbowl, Bridger Bowl, China Peak Crested Butte, Mountain High, Mt. Hood Skibowl, Schweitzer, Sierra-At-Tahoe, Snowbasin, Stevens Pass and Timberline with the purchase of a top-tier, anytime season pass at one of the 12 Powder Alliance Member resorts.